From my home studio in Oronoco, Minnesota, I offer entertaining and educational art and drama classes for children ages 7-18, with monthly watercolor classes for adults. 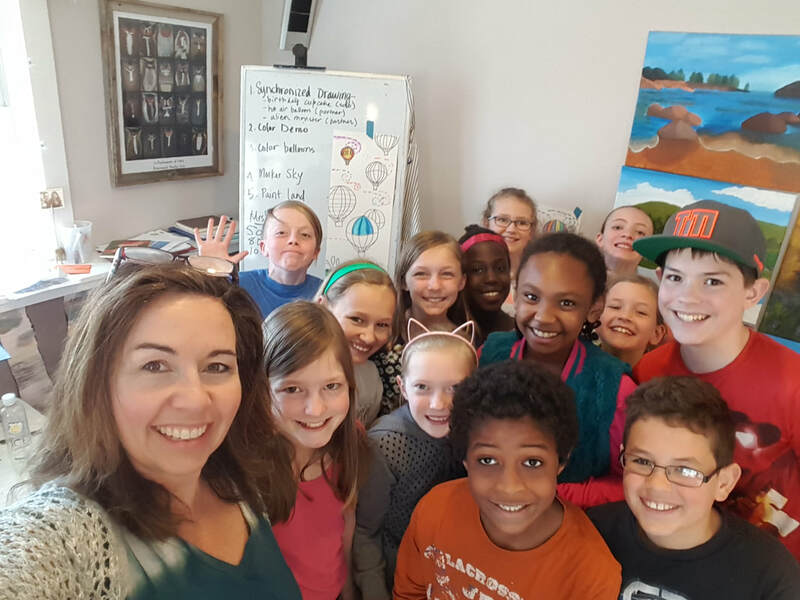 I am a former elementary teacher, a 15-year homeschool veteran, the mom of 3 great kids, a well-loved wife, and the owner of Riverwood Studio. I have a passion for helping people of all ages build skills and broaden artistic experiences in a relaxed, cozy, collaborative environment. These are my wonderful class assistants!